Hendrix Hall is HUGE! What else do you expect for something that bears Jimi's name? 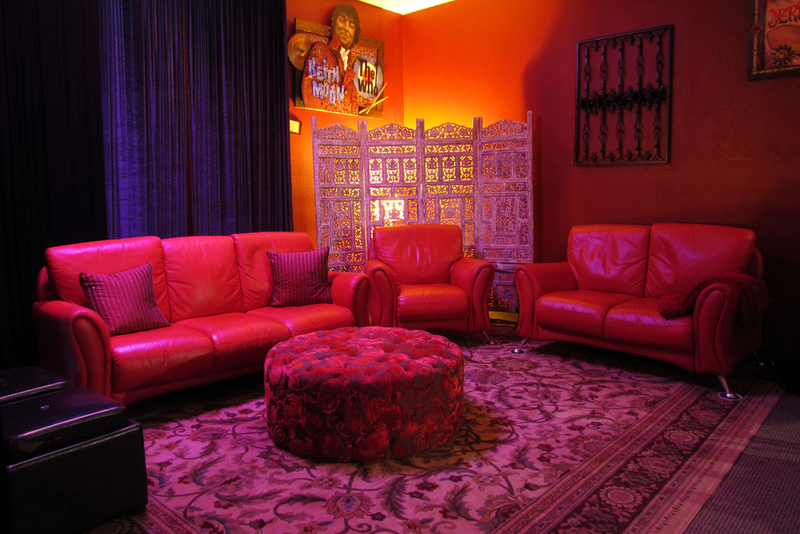 The Hall is meant for musicians, but with a little imagination, it can be your own space. From becoming your own venue for album release parties, to receptions with a kitchen available for catering, Hendrix Hall is the way to go! 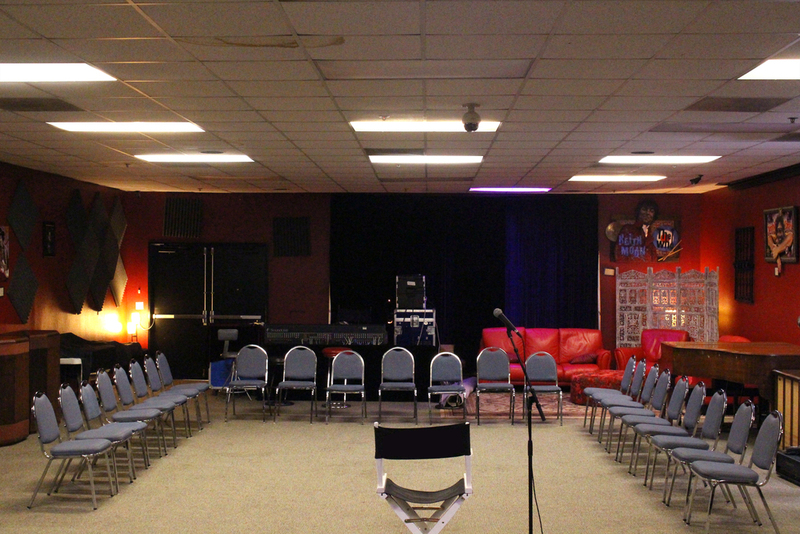 Hendrix Hall can be arranged many ways to fit your needs - with our 2ft high real stage (20ft long and 24ft wide, except on the corners), with full back line, monitors and side fills provided, our front-of-house or on-stage P.A. systems, stage lighting, recording option, chairs and/or tables, projector/screen - the Hall is a perfect space to make your event unique! Contact us on 619.255.9594 now to receive our Hendrix Hall Events Form which outlines all the options and prices. 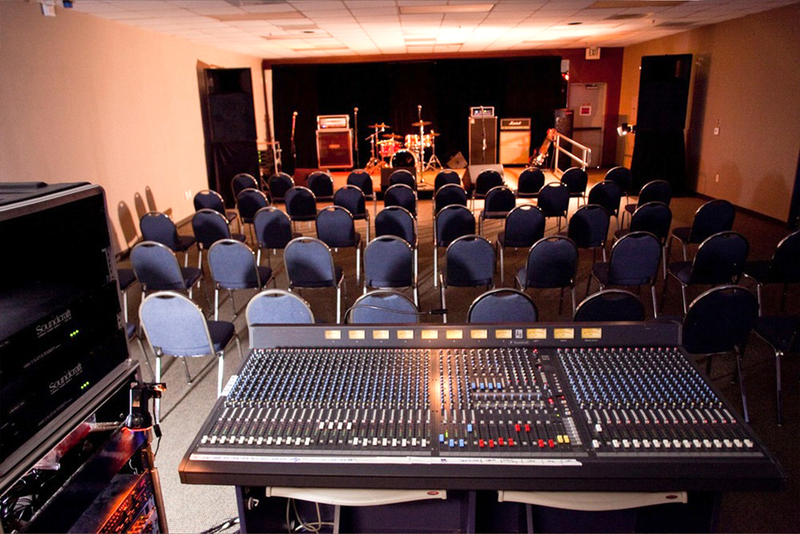 Have backline and gear needs for an offsite event?